The Luftwaffe had assumed all responsibility for air operations, above both land and sea, but when naval tasks fell upon the German Airforce they could not leave the Kriegsmarine out of it. In order to pick up ditched pilots at sea the Seenotdienst (Sea-Air Rescue, SAR) was established in 1940, and put the existing Dutch production facilities to good use for fitting out the new branch with Do 24 flying boats. 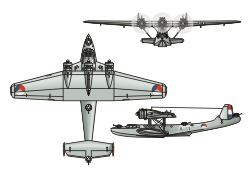 Although of German origin the aircraft had been custom designed in 1937 to a RNethN FAA (MLD) order and was being constructed by Aviolanda in Papendrecht and by the Schelde shipyard in Flushing. Under German control by the Dornier company the assembly line was kept up and running after the Dutch collapse, which would result in the production of some 200 aircraft. 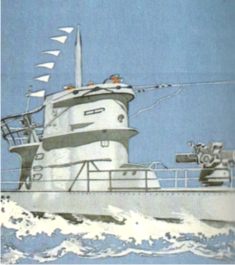 The Arado 196 became the Kriegmarine's standard shipborne float plane from 1939 on and could not only be found on board of battleships and battle cruisers, but also on German raiders, auxiliairy cruisers disguised as innocent merchant vessels. A Dutch connection is established when the Fokker factory in Amsterdam from 1943 on is tasked with the production of this float plane. Out of a total 541 aircraft that were turned out Fokker will construct 69. Test flying was performed from the Schellingwoude Naval Air Station, 'leased' from the MLD.